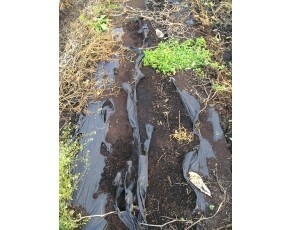 Plastic Mulch for beds, gardens, vegetables. Natural, organic compostable plastic material breaks down -BIO 360 biodegradable plastic mulch. Biodegradable Mulch Film now complies with international biodegradation & environmental standards such as EN 13432 by Vincotte and ASTM D6400 by BPI, which guarantee complete biodegradation in soil w/out any toxic residues. Starts breaking approx. 4-5 mos on 0.6 mil and 5-6 mos on 0.8 mil. 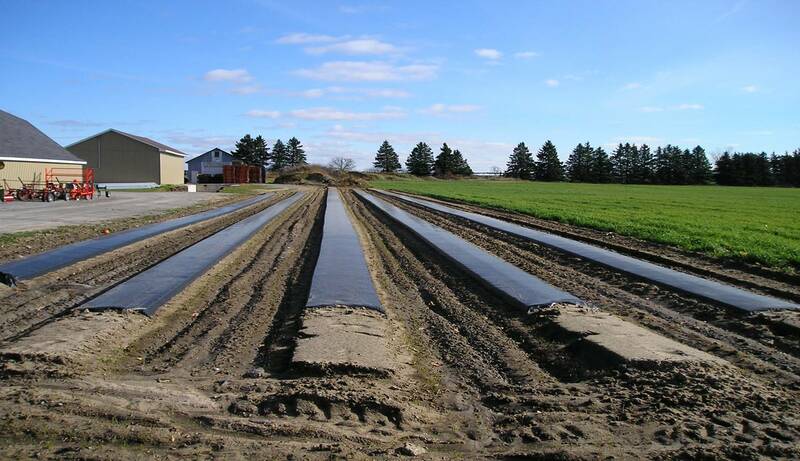 As the leading Biodegradable Mulch Film sold in North America, Bio360 completely and safely breaks down when tilled into the soil. Bio360 is a mulch film made completely of Mater-Bi, a non genetically modified corn starch. It is Certified as Biodegradable and Compostable!! ** NO Residues and toxicities in the ground. Our Bio360 mulch film has been approved by BPI! You will also save $ on pickup costs and significantly decrease the negative impact plastics have on the environment! The rate of biodegradation is influenced by climate and environmental conditions such as temperature, humidity and microbial activity in the soil. No Guarantee on time to degrade. NOTE: This film should not be stretched when laid. Once the mulch as been laid, it will tighten by itself. Biodegradable Mulches We all know the benefits of plastic mulch. Not only does it keep the weeds down, it warms up the soil giving us earlier (and more) tomatoes, peppers, eggplants and other heat loving veggies. But it costs us. 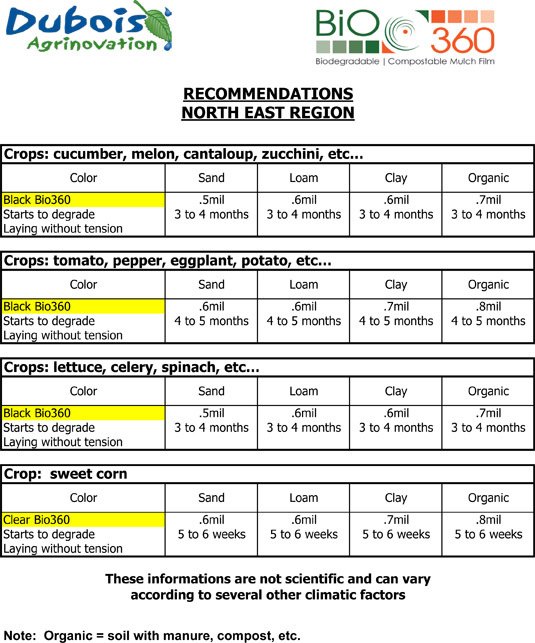 Farmers estimate it costs $25-100 an acre for labor and disposal of plastic mulch. A possible alternative to black plastic mulch is biodegradable film mulches that look and act much like black plastic, but instead of ripping them up in the fall, you till them into the soil and the microbes degrade the material, leaving you a clean field in the spring. I am really impressed, we used this for our crop and by the fall time it was already degrading in the ground, then we tilled the rest in the soil. As of this March there is no sign of plastic from last year.